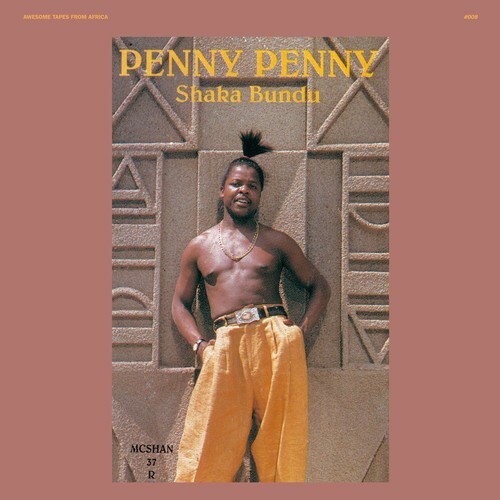 Last week the increasingly great Awesome Tapes From Africa label released Shaka Bundu, the 1994 debut album from homeless-janitor-turned-pop-star Penny Penny (ne Giyani Kulani Kobane). The singer got his break when he was caught teaching himself how to use the equipment in the recording studio he worked nights cleaning up. Joe Shirimani, a producer specializing in dance music, was immediately taken and ended up making the album with Kobane using only an Atari computer, a Korg M1 synthesizer, and a reel-to-reel tape for his wonderfully gruff, soulful vocals. The record helped popularize what would become known as shangaan disco—in recent years Honest Jon's Records has released several recordings that have given the house-derived style a much wider audience. Released just months after apartheid ended, the record became a huge hit and helped dismantle the disenfranchisement of the previously shunned Tsonga people. Penny Penny became a star, and after years of recording and touring he turned to politics—in 2011 he became a ward councillor for his region as an ANC candidate. Today's 12 O'Clock Track is one of the album's most banging tracks, "Shichangani."